In association with the kick-off his No Class Tour, Machine Gun Kelly drops new music with a track titled 'Wanna Ball' produced by Pro Logic. This tour kicks off today and will last throughout October, also including Limp Bizkit on select dates. 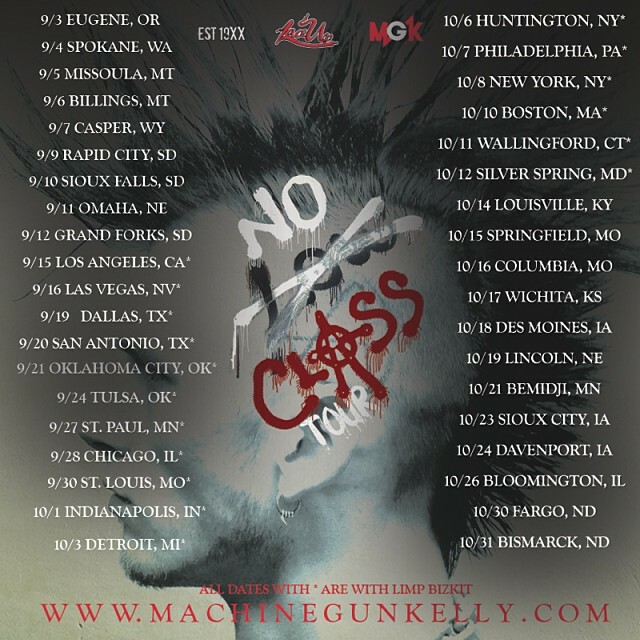 Stream 'Wanna Ball' above, and peep the full schedule of the MGK's No Class Tour below.